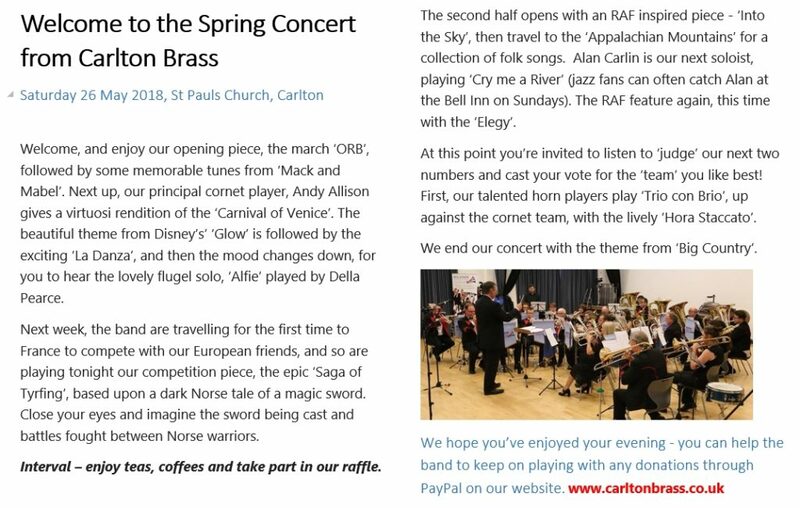 Saturday night saw Carlton Brass put on a fabulous concert at St Paul’s Church in Carlton. We have been wanting to arrange a concert for a while and the church were kind enough to allow us to use their beautiful building. 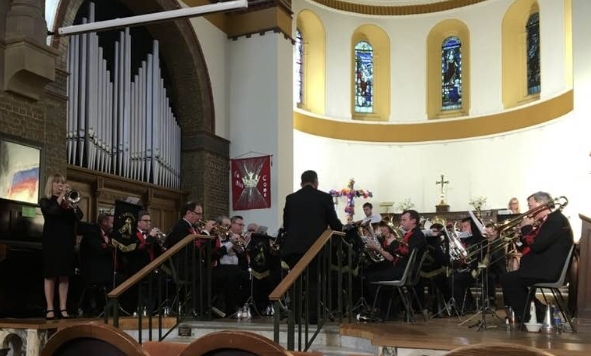 This was the first concert the band has performed here for a few years – a church only a few hundred yards from where we rehearse. We wanted to play all the music from our up-coming trip to the French Open, along with some other crowd-pleasers. A lovely, appreciative audience enjoyed two hours of quality brass band music where we celebrated 100 years of the Royal Air Force (Into The Sky, Elegy), enjoyed some Jazz trombone (Cry Me A River), forged a magical sword (The Saga of Tyrfing) and celebrated the Three Tenors (Trio Con Brio). We do hope to be playing here again later in the year, perhaps closer to Christmas. A big thanks goes to the Reverend Wendy Murphy for making us so welcome at the church, and to all those that came. Thanks for listening to us and for being a fabulous audience.